Automobile distribution in Belgium of the Volkswagen, Audi, Seat, Skoda, Bentley, Lamborghini and Porsche makes, as well as Yamaha and MBK motorcycles. Vehicle glass repair and replacement in Europe, Canada, Brazil, the United States, Australia and New Zealand through Belron s.a. and notably its brands CARGLASS® and AUTOGLASS®. The group's strategy is to be the best «parent» for each activity. The group always attempts to contribute its extensive knowledge of the automobile sector, its ability for anticipation and adaptability, its long-term vision, its entrepreneurship spirit and its will to invest wisely. The strength of the group rests on a decentralised organisation that is flexible and close to the customer, combined with a capacity for dialogue and sharing of best practices in terms of, for example, logistics, brand management, distribution networks or performance management. Today, the group, which achieved in 2012 a revenue of 5.5 billion Euros, is operating on the 5 continents in 34 countries with a total of around 26,000 employees who serve 11 millions motorists each year. The origins of the D’Ieteren family go back to the XVIth century, in the villages of Dieteren, Sittard, Schinnen and Puth, in Dutch Limbourg in the North-East of Maastricht. Jan-Gaspar D’Ieteren emigrated in Brussels where he settled and married in 1784. His son, Jean-Joseph D’Ieteren, founder of the line of the coach-builders of Brussels, was born on March 7, 1785. One finds the name of Jean-Joseph in the registers of census of the town of Brussels in 1799 and 1802 when he appeared as wheelwright apprentice then wheelwright worker.  Jean-Joseph D'Ieteren, then 20 years old, starts to work in his proper name, that is to say 6 years after the beginning of its period of training. Jean-Joseph D’Ieteren establishes his workshop in the centre of the town of Brussels. He occupies himself at his beginnings exclusively of wheelwright and coach-building. he become a raftered craftsman and attracted the public's attention at the "Exposition Générale des Produits de l'Industrie" held in Brussels. Jean-Joseph D’Ieteren dies in 1831 and leaves his heritage to his two sons: the elder, Adolphe (1811-1872), continues the wheelwright activity while Alexandre (1817-1903), goes to Paris to improve in drawing and coach-building. He returns to Belgium in 1849 and the two brothers join to form from now on "D’Ieteren Frères". Alexandre separates from his brother and settles in new workshops in "rue Neuve" under the name "Alexandre D’Ieteren" by associating wheelwright work to paintwork and garnishing activities. His elder son, Alfred D’Ieteren, (1853-1947), is sent by his father to a blacksmith, supplier of cars, in Paris. His second son, Emile (1856-1922),starts a training of painting and attends the Academy of the Art schools of Brussels. Alexandre D’Ieteren undertakes in "chaussée de Charleroi" the construction of a new workshop joining together all the trades of a bodywork manufacture. Alfred deals with the forging mill while Emile supervises the workshop of painting. Alexandre retires in 1878. His two sons succeed to him and take up the corporate name "D’Ieteren Frères". His two sons succeed to him and take up the corporate name "D’Ieteren Frères". The company exposes in 1880 to the Fiftieth Anniversary of Independence Exhibition and, in 1896, Alfred becomes secretary founder and vice-president of the Belgian Trade-Union Chamber of the Bodywork and Additional Industries. The two brothers become suppliers to the Royal Court of Belgium and, in 1905, the company receives from King Léopold II an order for a landau to be used at the official ceremonies. The end of the 19th century sees the birth of the car.The year 1897 inaugurates this new era and the new trade of car-body making with the delivery by D’Ieteren of an electric Dog-cart with four places designed for the General Company of Automobile Transport. The first bodies of this new universe present various types: small cars, limousine,... The workshops become too exiguous for the construction of the cars, which requires more space than the harnessed cars. The firm thus undertakes the construction of vaster workshops located at the number 50 of the "rue du Mail", place which still remains today the headquarter of the company. Lucien, Alfred D’Ieteren’s son (1880- 1966), takes, during the last years which precede the First World War, many responsibilities to gradually replace his father close by his uncle Emile. In 1911 the production takes off following a significant order of Delaunay-Belleville. Unfortunately the war will carry a crushing blow to the progression of the bodywork. In 1919, Emile and Lucien transform the company "D’Ieteren Frères" and constitute the " société anonyme Anciens Etablissements D'Ieteren Frères", a new corporate name which will perpetuate the work of the workshops of the "rue du Mail". The production begins again on the basis of chassis of all makes. Emile D’Ieteren dies in 1922 and Lucien remains alone at the head of the company. He will undertake the export of bodywork at such points that in 1928 more than 65% of the bodyworks are for abroad (the United States, Argentina, the Netherlands, Spain, Portugal, Egypt). In 1930, the balance sheet of D’Ieteren’s productions mentions a number of more than 1,000 bodywork built in 5 years, a very significant figure for the time. In the beginning of the years 1930, the bodywork activity is gradually abandoned. The "Anciens Etablisse-ments D'Ieteren Frères" devotes themselves to the importation of American cars Studebaker, Pierce-Arrow and Auburn. 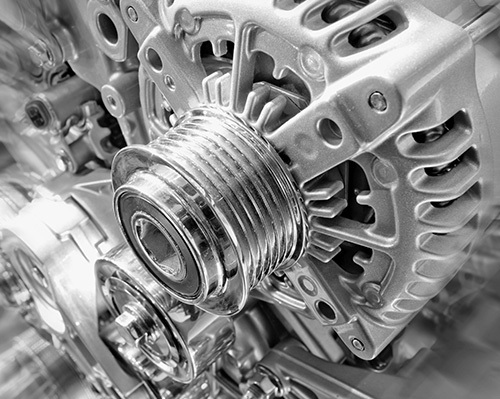 In 1935, the company begins the assembly of Studebaker vehicles. For the next 35 years, this will be one of the company's main activities. In 1948, Pierre D'Ieteren (1912-1975), son of Lucien, signs an import agreement with Volkswagen. A few months later, the famous Beetle is launched in Belgium. A new factory of assembly is built in Forest nearby Brussels from which turns out the first Studebaker in April 1949. In 1950, D’Ieteren becomes exclusive importer of Porsche and, in 1954, the assembly of the Beetle begins in Forest. In 1956, D'Ieteren enters the short-term car rental market.An agreement is signed with the Belgian railway company: Beetles are made available for rent at the main railway stations in Belgium. In 1958, during the Brussels World Fair, Dit'Rent-a-Car, D'Ieteren rental division, becomes an Avis licensee. In 1972, Pierre’s son, Roland D’Ieteren, becomes Assistant Director of the company. In 1974, the company changes its old denomination to become "s.a. D’IETEREN n.v.» This same year, the company obtains the importation of the Audi brands and NSU and launches the VW Golf that will become the Volkswagen bestseller. Pierre D’Ieteren dies and Roland takes his succession. Followed from there during the following decades the importation of the Yamaha motorbikes and MBK scooters, the automobile brands Seat, Skoda, Bentley and Lamborghini. D’Ieteren becomes the majority shareholder of Avis Europe, following a long period of partnership of almost 30 years. This acquisition makes it possible for D’Ieteren to take foot on the international market.With around 8 million customers per year, Avis Europe is present in Europe, Africa, the Middle East and Asia with the Avis and Budget brands. 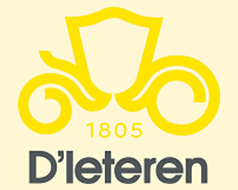 In 2005, D’Ieteren holds 59.6% of the capital of the company. D’Ieteren acquires Belron, the world-wide leader in vehicle glass repair and replacement. Belron operates through around 2,200 branches and 8,900 mobile units in Europe, North and South America, Australia and New Zealand. In 2013, D’Ieteren owns 94.85% of the capital of the company. D'Ieteren sells its stake in Avis Europe Avis Budget Group Inc.